While I am American by virtue of the fact that I was raised in this country, I am Indian thanks to the efforts of two individuals. I feel Indian not because of the time I've spent in India or because of my genetic composition but rather because of my parents' steadfast presence in my life ... Everything will change once they die. They will take certain things with them—conversations in another tongue, and perceptions about the difficulties of being foreign. Without them, the back-and-forth life my family leads, both literally and figuratively, will at last approach stillness. An anchor will drop, and a line of connection will be severed. I have always believed that I lack the authority my parents bring to being Indian. But as long as they live they protect me from feeling like an impostor. Their passing will mark not only the loss of the people who created me but the loss of a singular way of life, a singular struggle. My heart ached with the truth of this as I read it. 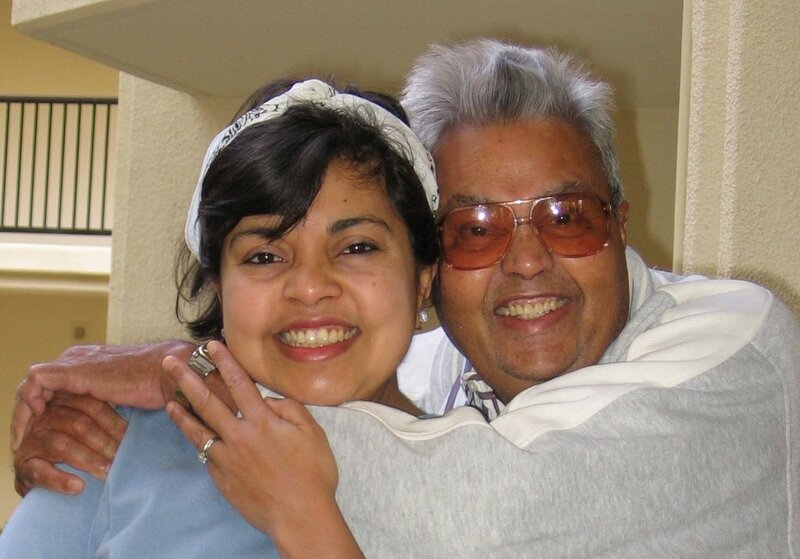 As an immigrant teen, you pull away from the old-world aura of your parents; as an adult adept at being American, you crawl back and curl yourself up as close as you can to the comfort of them (as evidenced in this photo of Baba and me taken the last time I visited).